For the last few days, I have started and been a part of numerous discussions especially on LinkedIn, where people are discussing about the effective use of technology in education. And I am amazed to see some great tech savvy educators putting all their efforts in finding various ways required for successful technology adoption and implementation. They just want to see it happening, see students improve with the right use of technology in the classroom. But few of them still have debates and still aren’t clear whether technology should be used or not. I believe the common thing with all of them is that they are not sure about the ways in which it should be used. “Effective use of technology in education” is perhaps a new discipline that needs to be taught. And the thing that is different about this discipline is that the teachers, staff and administrators are also the learners for this, apart from the students (actual learners) of the educational institutions. The fact that the same technology, product, app or tool can be used for different purposes by different people makes it tougher to find out standard solutions for the educators and learners. Due to reasons like the one above, teaching this subject is not at all easy. Here are some of the most important things and strong tips I have curated from my discussions with those professionals to keep in mind for teaching this “new discipline”. The learning outcomes and relevant pedagogical approach always come first. Then we explore with the teachers which technology solutions could help achieve those objectives and goals, and what support they need in order to feel sufficiently comfortable to implement them. To help teachers integrate technology more effectively into their teaching, professional development around educational technology should be a higher priority for schools and districts, and it needs to be ongoing and collaborative. Professional development on educational technology should focus on what students need to learn, rather than on how to use a specific device. Technology shouldn't be learned in isolation, but in the context in which it's going to be used. Students should not be excited by the technology alone, but by the opportunities technology provides. Technology opens the window to greater connections with people, expanding content farther than ever before, and the ability to create new ideas. Expecting students to be excited about a piece of technology is like expecting a food critic to be excited about the fork. The excitement in students should be rather about the related activities and tasks which will be performed or done using technology as a medium not the technology alone. And the role of teacher would be to ignite this excitement and create engagement and various opportunities in classroom again with the help of technology wherever needed. It’s not just about providing devices in a classroom or in the hands of students. Are you providing connectivity? Do you have local content available to them? And are the teachers trained? All of these are important to help bridge the digital divide. Learning to spell or do long multiplication, or learning mathematical tables is certainly nowhere near as important as learning how to best use the technology now available to accomplish these and other, more complex, tasks. Some debates also include the same old talk of technology replacing teachers, which is sad. Like all tools they don't replace good education, they enhance it. Technology is not here to replace a teacher but to enhance their capabilities. When it is used properly, a teacher learns new ways of teaching, and it not only improves the delivery of instruction but improves the teacher as a learner too. And a good teacher (so called 21st century teacher) has the most important trait of being a learner herself. Technology is actually here to perform tasks which either won't have been possible, would have been tougher or costlier, or not so good without it. So the big “Why” to the use of technology in classrooms can be answered by the teacher keeping the points mentioned in the previous lines in mind. It is hard to imagine how it will be possible to teach the tech savvy digital generation of 21st century without technology and still make them excited. And in fact, a more important question would be why we shouldn’t use technology as an aid, when we can benefit a lot from its effective use and reach the goals for student learning. It is no longer a choice as to whether or not to incorporate tech tools for learning into education. There are no choices for educators to make here. I would love to end it with the great words of Sir Ken Robinson that "today; the use of technology is inevitable as students are born with technologies, so it is our duty to get it to the heart of the education. 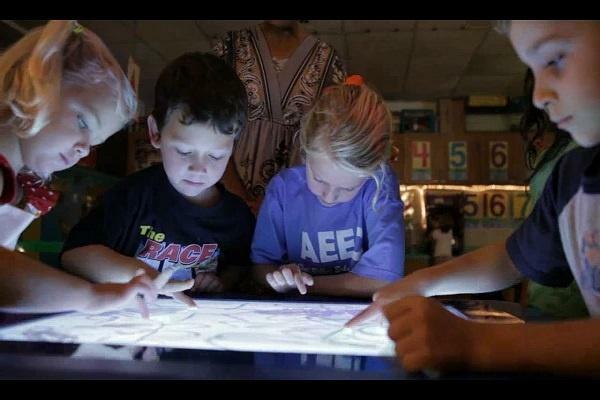 These technologies combined with extraordinary talents of teachers provide an opportunity to revolutionize education. We all must realize that technology is a massive driver of change, it has changed the whole context of education, and it is among the ways in which transformation will take place."